Culross Hall, King's Cross in 2005. Now demolished. 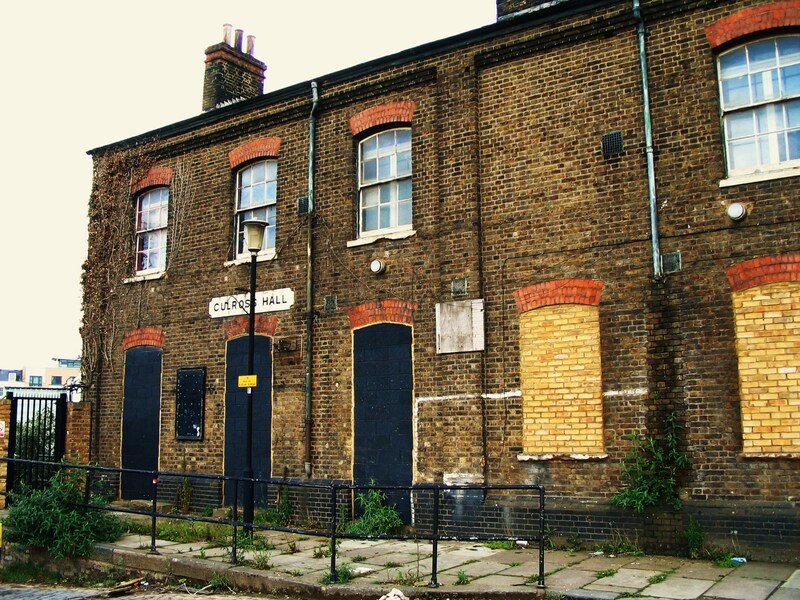 The King’s Cross Voices Oral History Project is managed by the London Borough of Camden. It was funded by the Heritage Lottery Fund between 2004 – 2008, and worked with community members and local partners to record people’s memories and unique life experiences of the King’s Cross area. 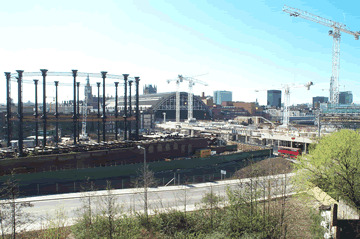 King’s Cross is currently in the throes of major redevelopment and regeneration. Since 2007, Eurostar arrived at St Pancras International, and Kings Place opened in 2008 – the new home of the Guardian, and a popular theatre and arts centre. Over the next decade a new residential, business and leisure district will be constructed on 67 acres of former rail freight lands. Central Saint Martins College of Art and Design is scheduled to relocate to this area in 2011. King’s Cross Voices has recorded local people’s memories of the district before physical reminders will be forever changed, and the composition of present communities altered irrevocably due to the area’s redevelopment and regeneration. The project explores both the Camden and Islington sections of King’s Cross including Somers Town, St Pancras and King’s Cross Stations, the former railway lands including Stanley and Culross Buildings, York Way, Caledonian Road, Chapel Market, Pentonville Road, Hillview Estate, Bemerton Estate, Brunswick Centre, Argyle Square, and the Euston Road. 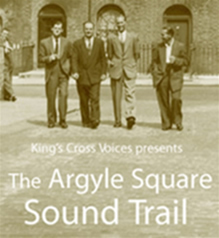 The King’s Cross Voices website includes extracts and transcripts of the oral history interviews, and the pioneering Argyle Square Sound Trail, a downloadable walking tour of the southern sector of King’s Cross. In late 2010 it is expected that the entire collection of nearly 300 interviews and accompanying transcripts will be fully online. This archive entry was last updated on 29 May 2014. Information incorrect or out-of-date?